ASUS and ASRock, two major makers of computer motherboards, are rolling out their platforms for Intel Xeon CPUs designed for gamers. While typically Xeon chips are more expensive than comparable Intel Core processors, they feature a number of technologies that make them rather attractive for end-users. Intel Core processors for desktops offer performance and feature-set tailored for average users, but server-class Intel Xeon processors for single-socket machines sport such technologies as ECC, vPro as well as Trusted Execution, which may be important for users with custom requirements. Moreover, unlike the $250+ Intel Core i5 6600K, many of the similarly priced quad-core Xeon E3 V5s feature 8MB cache and Hyper-Threading technology, which makes them more comparable to Core i7 in features and should allow slightly higher performance in single-threaded and multi-threaded applications. Intel Core CPUs have their own advantages over Xeon processors, such as unlocked multiplier on select models as well as Intel Identity Protection, but there are still users who prefer to use Xeons. 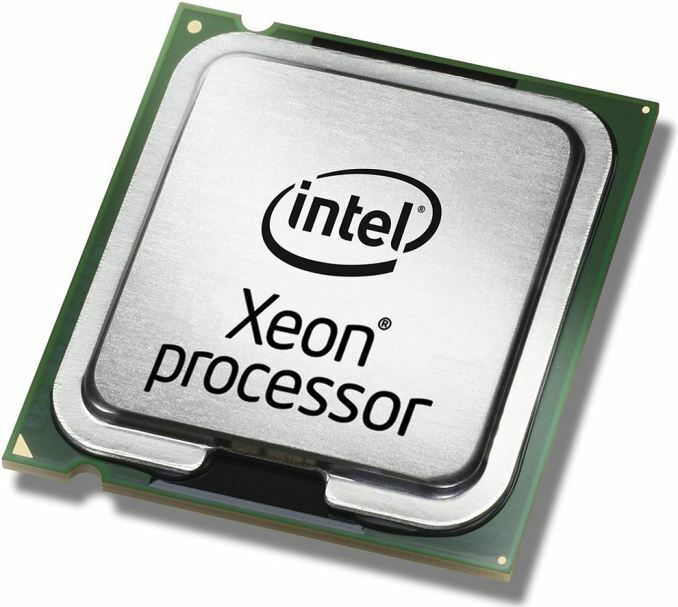 Back in the day, Intel Xeon CPUs for uniprocessor computers were compatible with higher-end consumer desktop chipsets, whereas Intel Core chips could also work with Xeon chipsets. However, starting from the Skylake generation of microprocessors Intel decided to change its approach to workstation and desktop-class PCs. To that end Xeon E3-1200 v5 microprocessors are incompatible with Intel 100-series chipsets for desktops. For Intel this helps Intel and its partners to better position their products for personal and professional usage, though practically speaking it also serves to draw a much clearer line between the Core and Xeon families, for better or worse. Even though Intel would prefer to keep its Xeon CPUs away from the consumer market, makers of motherboards plan to give users a choice and are rolling out Intel C232-based platforms with LGA1151 sockets with features for gamers. The Intel C232 is not the most advanced core-logic for the Xeon E3-1200 v5 processors — it only has eight PCI Express 3.0 lanes, up to six USB 3.0 ports, up to six Serial ATA-6Gb/s ports, does not support vPro or Rapid Storage technologies, etc. However, it is also cheaper than the fully-fledged Intel C236 chipset, which is normally used for higher-end workstations. 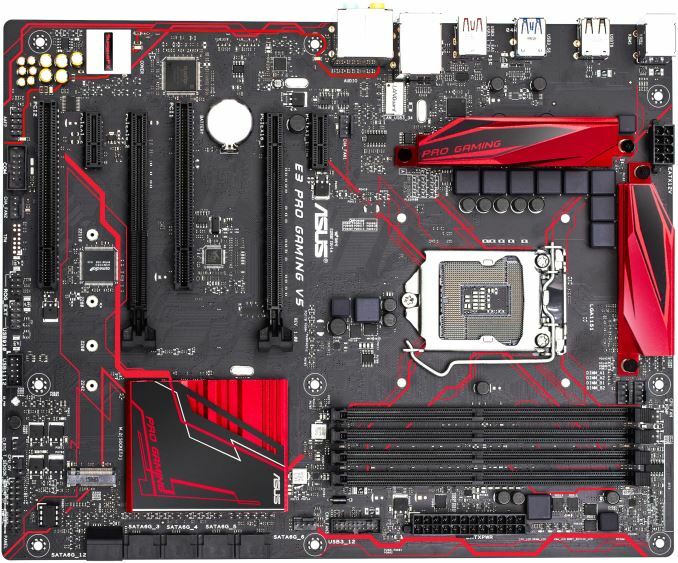 This week ASUS introduced its E3 Pro Gaming V5 mainboard that supports server-grade Intel Xeon E3-1200 v5 processors as well as a variety of features for desktops PCs used by gamers, such as DDR4 memory overclocking, high-quality integrated audio, M.2 slot for solid-state drives, USB 3.1 support and so on. ASRock is also working on its Intel C232-based Fatal1ty E3V5 Performance Gaming platform compatible with the latest Intel Xeon E3 v5 chips. 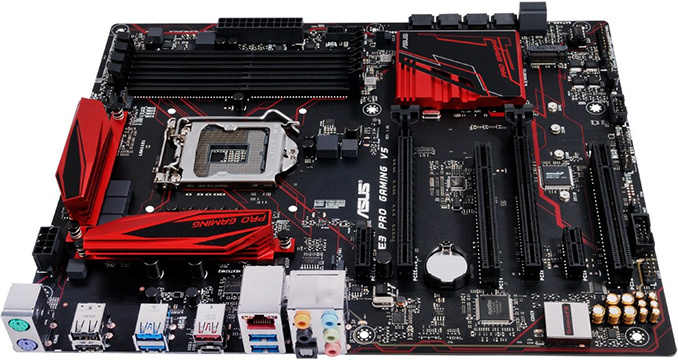 The ASUS E3 Pro Gaming V5 motherboard is compatible with all central processing units in LGA1151 form-factor, including the Intel Core i3/i5/i7 and the Intel Xeon E3-1200 v5 families of chips. The board features digital eight-phase voltage regulator module for CPUs that features solid-state chokes and high-quality capacitors. The platform comes with four 288-pin DDR4 DIMM slots, which support memory overclocking and XMP profiles, but do not support ECC technology. The motherboard also features two PCI Express x16 3.0 slots for graphics cards or high-performance SSDs (officially, only AMD’s CrossFireX multi-GPU technology is supported, as the slots are x16/x4), two PCIe 3.0 x1 and two PCI slots for add-in-boards, one M.2 slot for SSDs (with NVMe support), six SATA 6Gb/s ports for storage devices and so on. The ASUS E3 Pro Gaming V5 is equipped with the ASMedia ASM1142 USB 3.1 controller (and has one USB 3.1 type-A and one USB 3.1 type-C ports), Intel I219LM Gigabit Ethernet controller with ASUS GameFirst software technology that prioritizes gaming traffic, 7.1-channel SupremeFX audio with Realtek ALC1150 codec and so on. The E3 Pro Gaming V5 motherboard is compatible with liquid-cooling solutions, features onboard thermal sensors as well as automatic fan controls. The Intel C232-based motherboard from ASUS is clearly a consumer-oriented system board, yet, with support for Xeon processors. In fact, even the layout of the E3 Pro Gaming V5 resembles that of the ASUS B150 Pro Gaming/Aura, an affordable platform for gamers. 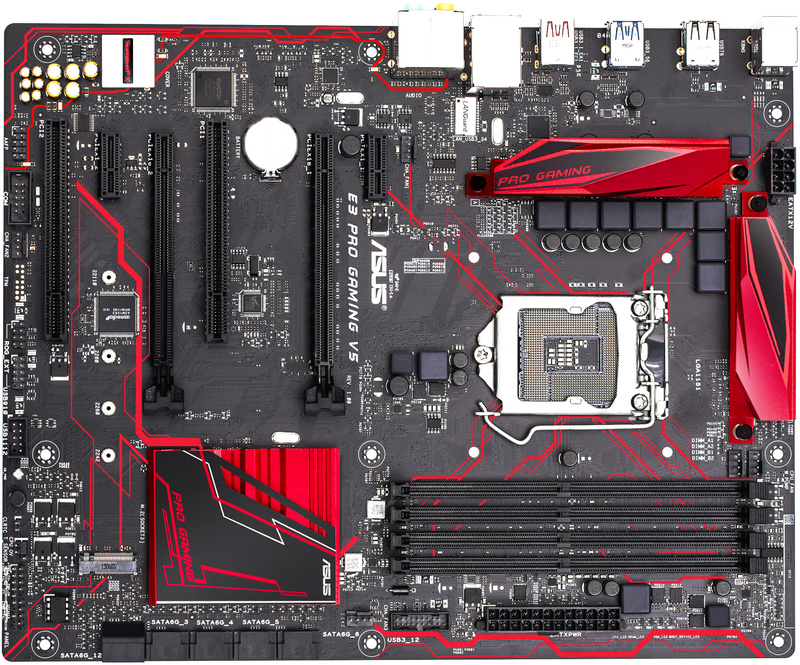 Next year the company plans to introduce three ASUS Signature-series motherboards — including the E3-Pro V5 (ATX), the E3M-ET V5 and the E3M-Plus V5 in micro ATX (mATX) form-factor — that will also support Intel Xeon chips. Apparently, ASUS plans to offer relatively inexpensive platforms for Intel Xeon E3 v5 microprocessors. ASRock is another company designing consumer-grade motherboards featuring Intel C232 core-logic and compatible with workstation-class Intel Xeon chips as well as desktop-class Intel Core CPUs. The ASRock Fatal1ty E3V5 Performance Gaming/OC and the ASRock E3V5 WS will be the company’s first two mainboards to support Xeons along with certain desktop features. 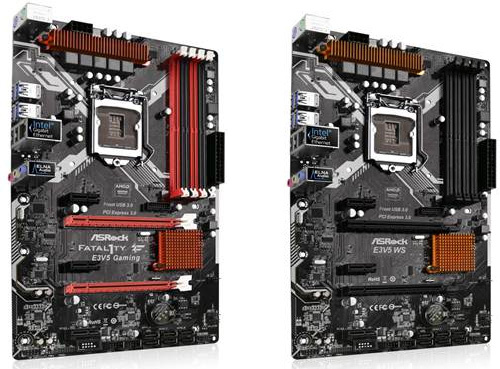 The two Intel C232-based motherboards from ASRock will share one design, but will sport different style and different BIOS versions with slightly different feature-set. 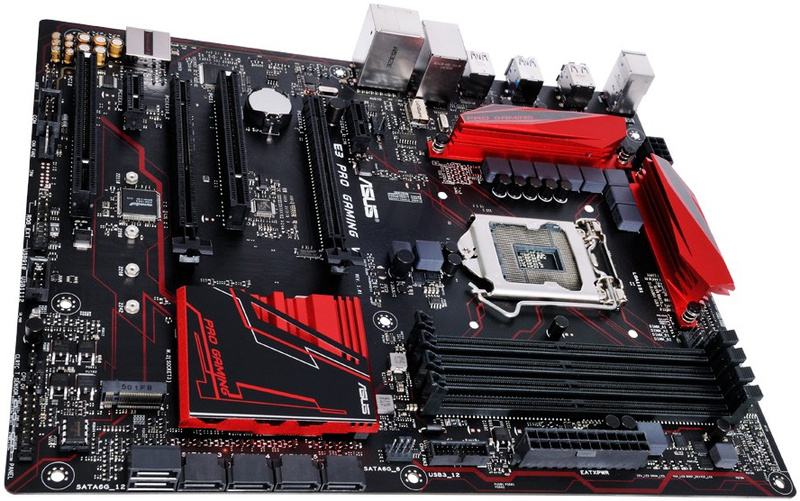 The motherboards will have high-quality five-phase digital VRM, four slots for DDR4 memory with or without ECC, two PCI Express x16 slots, three PCIe x1 slots, multiple Serial ATA-6Gb/s ports, USB 3.0 support, integrated audio and so on. The ASRock Fatal1ty E3V5 Performance Gaming/OC was designed primarily for enthusiasts and gamers. The motherboard sports ASRock’s technologies like Gaming Armor, Key Master and Fatal1ty mouse port that are typically found on desktop-class platforms from the company. In addition, the Fatal1ty E3V5 Performance Gaming/OC features DDR4 memory and BCLK overclocking, something that server-class motherboards do not typically support. 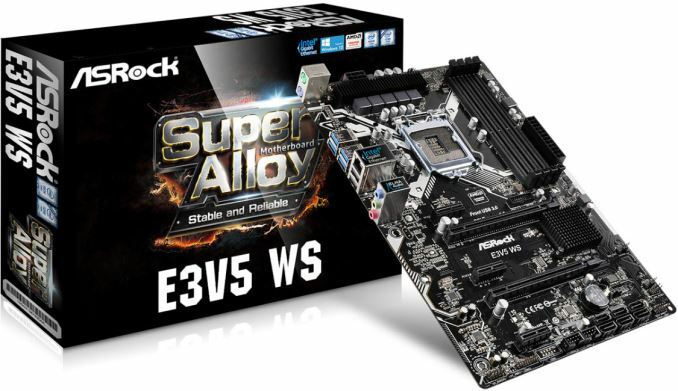 The ASRock E3V5 WS was designed for workstations. It cannot overclock CPUs or memory and is not equipped with gaming features. However, it uses onboard Intel I219LM Gigabit Ethernet chip that was developed with servers. The E3V5 WS motherboard is compatible with AMD FirePro and NVIDIA Quadro professional graphics cards as well as with server operating systems. While Intel’s Xeon E3-1200 processors are not designed for gamers or enthusiasts in general, given the shortage of Intel’s Core i7-6700K chips, some may consider to buy a Xeon E3 v5 processor with 8MB cache, Hyper-Threading and other technologies instead. Since the Intel Xeon E3-1200 v5 processors and the Intel C232 core-logic do not officially support overclocking, end-users, who would like to boost performance of their central processing units will have to experiment with BCLK overclocking, which may not provide very good results. Moreover, the C232 does not support as many PCI Express 3.0 lanes as the Intel Z170 or the Intel C236, which means expansion capabilities of desktops that use the core-logic will be limited. The motherboards for the Intel Xeon E3 v5 CPUs from ASUS and ASRock look rather solid in terms of quality, but can hardly be called feature-rich. Nonetheless, if their price is right, a Xeon-based gaming system may be worth considering. "This helps Intel and its partners to better position their products for personal and professional usage." Why would a honest publication make marketing statements like this one instead of saying it as it is, it allows them to earn more by blocking Xeons on cheaper mobos. While I usually don't go for the whole "always forgets who they are supposed to be serving" nonsense, I do agree that a spade should be called a spade, and right here, Intel is indeed forcing more differentiation for no consumer-friendly reason. Mr. Anton Shilov, how come no mention of the fact that the Asus model only has one PCIe x16, the other one being limited to x4? I understand that Asus feeds you the texts but Anand is printing them. A little due diligence would go a long way to show you care for your users. Enable ECC on core? Xeon + ECC are for stability not kiddie overclocking fools. The statement says "this helps Intel", not "this helps the public".